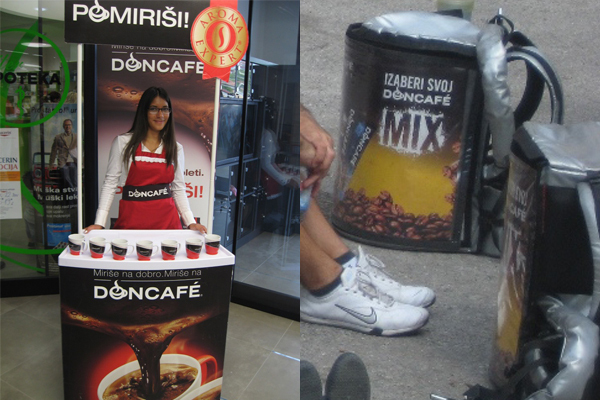 When you love your job, and you also love your client’s products, then the work is pure pleasure. 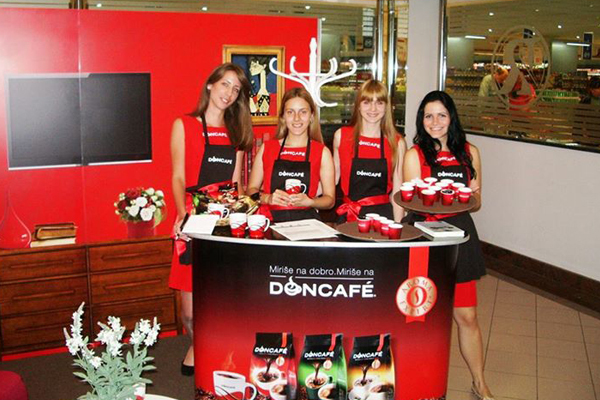 You might sense it in our warm Doncafe promotions. 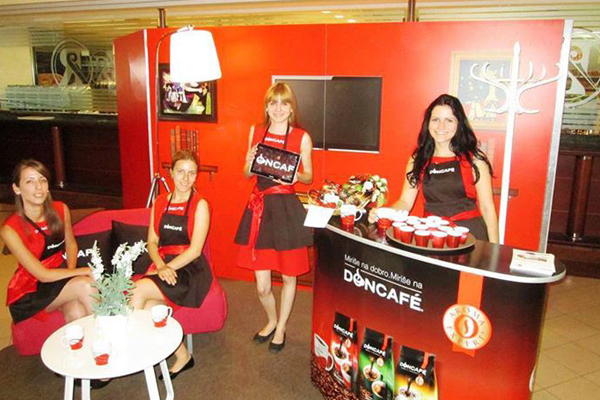 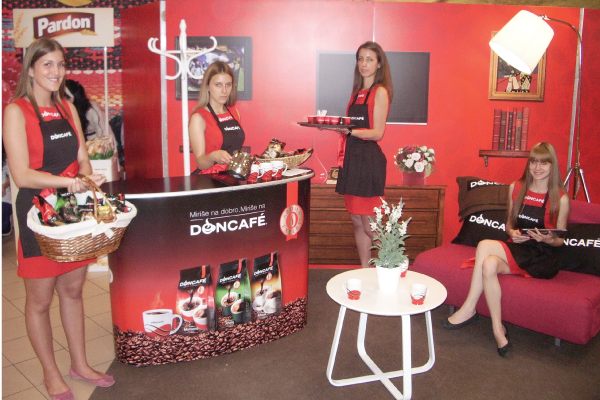 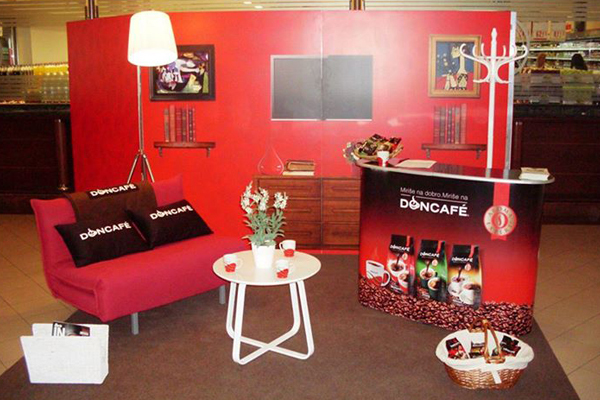 Whether you come to rest in our Doncafe living room in major retail stores, or you are on your way to work in the morning, we are welcoming you with a cup of hot coffee and a smile at promotions throughout Serbia.